A kundalini awakening causes changes to the nervous system. Some of these symptoms seem to imitate very realistic neurological and biological conditions. This transformation not only facilitates a healing process but increases your ability to sustain the high energies that are incidental during a full-scale kundalini awakening. Kundalini symptoms encompass the entire awakening process. 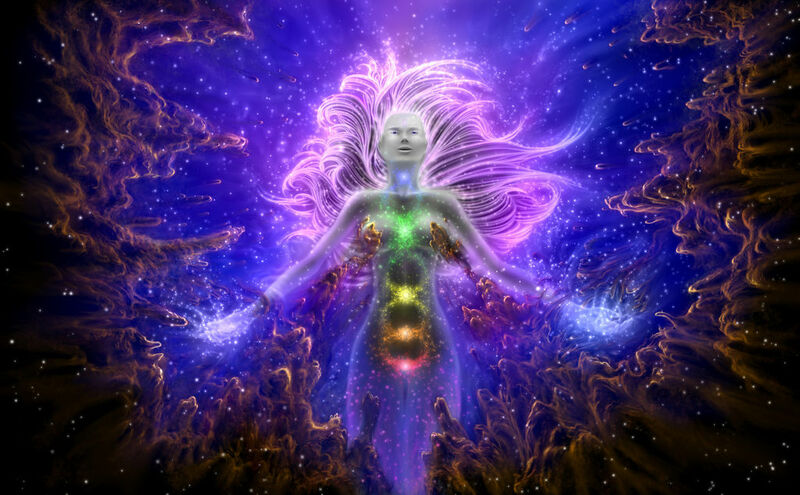 Symptoms begin at pre-awakening, throughout spiritual awakening, leading to a full-scale kundalini awakening. Meditation during these awakening periods will speed the process of kundalini transformation. As you progress through your spiritual transformation, the synchronocity of events become more apparent. The length of time between will and manifestation decreases. Symptoms will strengthen as you approach your full-scale awakening. At this phase, you begin to experience Lucid or Precognitive dreams, Insights or Increased Intuition, Visions. You may be drawn to personal or spiritual development and changes in your belief structure. You may begin to question your ideas about God, The Universe, Religious or Scientific Systems. As the Energy increases in your higher mental chakras working to clear negative aspects of the self you may find yourself drawing away from relationships that no longer serve you in your development. You may feel an inner knowing that you are more than what you are currently experiencing, and feel the urge to become more than what you appear to be. This phase begins with the sudden rise of energy to your crown chakra. You will experience a change in perception and see the world in vivid colour. You will begin to see the patterns and connections between events, matter and energy. The vibrations may increase within your dimensional and physical bodies. You may feel sudden rushes of energy, visions, visitations, have increased knowledge as if information is downloaded into your mind. As you awaken you may find yourself experiencing past life regressions, flashes of yourself on other timelines, flashes of alternate identities existing in your current timeline. There are many experiences that occur during kundalini awakening, and those experiences depend on each individual, their belief and mental structures, the evolution of the individual whether mental, social or spiritual evolution. Each experience can differ widely. Common during the awakening of the crown though is that many recount the meeting of the higher self. Profound transformations occur during this awakening, an increase in extra sensory perception and awakening of psychic ability is also common, and at the initial stages of awakening can seem extra ordinarily heightened and erratic. Over time these awakened abilities will gain balance as the energies begin to subside, allowing for a greater increase in control. As the energy increases in the body and your mental awareness expands, your mental, emotional, and physical bodies will utilize this increase in energy and awareness to heal itself. You will may experience slight disorientation and instability in the mind while healing and growth occurs. Feeling and sensitivity increases to facilitate strength and growth in the emotional system which may cause negative emotions to arise more often and increase our ability to deal with them. Healing in the body occurs as the body raises its vibration gaining more energy and vitality. We may feel bouts of tiredness and sleep more often as the body heals itself, experience a reduction in awareness levels during these periods. During this process of self healing we may feel motivated to speed this process through meditation, yoga or other spiritual development practices. Explosions of light in the brain and feel tingling or numbness in various body parts. Increased ability to sustain quiet mind in meditation for longer periods. The ability to enter a deep trance-like state. It is like falling asleep in your meditation. If your meditative state is not deepening like this, you are probably at an earlier stage of spiritual awakening and it is unlikely the full-scale kundalini transformation. While in early awakening stages, it is easy to convince the self we are more advanced than we are, because of our identification with our Ego. 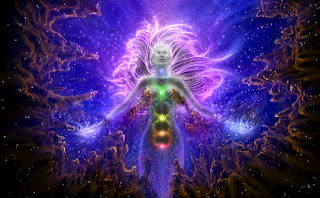 Common symptoms of Kundalini Awakening include: tingling, muscle twitches, stinging prickles, freezing, hot flashes, sweating, hot bones, energy vibration, buzzing frequencies in the mind, pain in muscles, muscle cramps, flashes of light in the mind, rushes of energy moving on the spine, internal rain, drops of liquid, external rain, pulse in root and crown chakras, increased sexual energy, spontaneous orgasms, insights, frequent changes in sensory perception, amplified senses, altered states of consciousness, loss of all sensation, going out of body, organ cleansing, electric shocks, buzzing in body, itching, insect crawling sensation, shaking, shivers, hearing tones, change in sleep and eating patterns, hyperactivity, headaches, pressure in skull, visions, visits from extraterrestrials or guides, snapping, clicking and popping of bones and ligaments, numbness, spontaneous crying or laughing, mystical experiences and more. Negative symptoms can occur during a kundalini awakening. This is frequent in those individuals who undergo a spontaneous rapid awakening, especially during the psychological, mental and spiritual cleansing stages. As we move closer to God and the realization of self, we begin to face our inner demons and negative aspects of self which becomes manifested in our spiritual experience. As we awaken to higher planes of existence and undergo spiritual cleansing, and there are aspects of the self such as guilt, repression of actions or behaviours of the past that hinder our path to self realization and awakening, they can and often manifest in our personal experience, spiritual realities and communication with interdimensional beings. When we face past actions and behaviours, guilt, trauma and any negative effects of the past, rid ourselves of self serving behaviours, realize ourselves and realign with balance then we begin to heal ourselves mentally and spiritually. Negative symptoms include: Negative energies, psychic disturbances, psychic attacks during awareness of interdimensional energies or planes. Negative communication with interdimensional beings. Sexual Disturbance. Negative mental feedback. Imbalance. Severe emotional states.